The following authors and bloggers kindly answered questions posed by Stevie Turner regarding significant life experiences they had undergone. These events include sexual abuse, a near death experience, alcoholism, being diagnosed with cancer, depression, losing weight, getting married, being a mother to many children, being the daughter of a narcissistic mother, and many The following authors and bloggers kindly answered questions posed by Stevie Turner regarding significant life experiences they had undergone. These events include sexual abuse, a near death experience, alcoholism, being diagnosed with cancer, depression, losing weight, getting married, being a mother to many children, being the daughter of a narcissistic mother, and many more! To ask other readers questions about UNDERSTANDING, please sign up. All those interviewed by Stevie have a story to tell and they do it quite well in their answers to her questions. It’s good to have the links to their blogs as well, so we can follow up and interact. If anything, I wish I had been more fulsome in my responses. But with the links there anyone interested enough can click on over and read my words. In my case the support I have had since sharing my story on my blog has been massive, especially considering my accident was over 40 years ago. This anthology is full of interesting people who have experienced real trauma or significant events in their lives. We are all everyday people, not celebrities, but still our stories deserve to be told and heard! 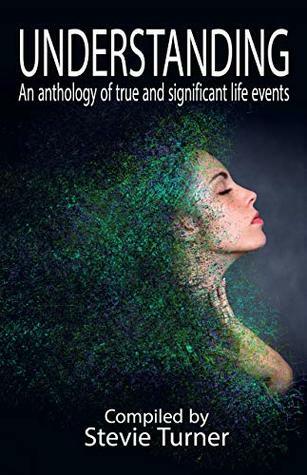 This collection of experiences, told mainly in the form of questions and answers, from twenty authors and bloggers, is a unique and emotional read. Each of the twenty participants has been through a traumatic time in their lives and each of them has overcome their particular set of circumstances, whether it is a struggle with cancer, sexual abuse, the loss of a loved one or a personal obsession gone wrong. Despite its emotional and heart wrenching content, this book is, on the whole, an upliftin This collection of experiences, told mainly in the form of questions and answers, from twenty authors and bloggers, is a unique and emotional read. Each of the twenty participants has been through a traumatic time in their lives and each of them has overcome their particular set of circumstances, whether it is a struggle with cancer, sexual abuse, the loss of a loved one or a personal obsession gone wrong. Despite its emotional and heart wrenching content, this book is, on the whole, an uplifting read as well as being an enlightening one. I was impressed and encouraged by each of these writers ability to overcome their personal hardship and find a successful path forward. To my mind, the stories in this book can be divided into two sets, those participants who had to deal with circumstances imposed on them by a third party or outside force creating circumstances over which they did not have complete control and those participants who ended up in a situation of their own making through their obsessive natures or those human frailties, like low self esteem and anxiety. I know from personal experience with friends and family that overcoming such mental barriers is an incredibly difficult thing to do. Stevie Turner is a British author of suspense, women's fiction family dramas, paranormal and darkly humorous novels. She has also branched out into the world of audio books, screenplays, and translations. Most of her novels are now available as audio books, and 'A House Without Windows' gained the attention of a New York media production company in December 2017. Some of Stevie's books have been t Stevie Turner is a British author of suspense, women's fiction family dramas, paranormal and darkly humorous novels. She has also branched out into the world of audio books, screenplays, and translations. Most of her novels are now available as audio books, and 'A House Without Windows' gained the attention of a New York media production company in December 2017. Some of Stevie's books have been translated into German, Spanish, and Italian.